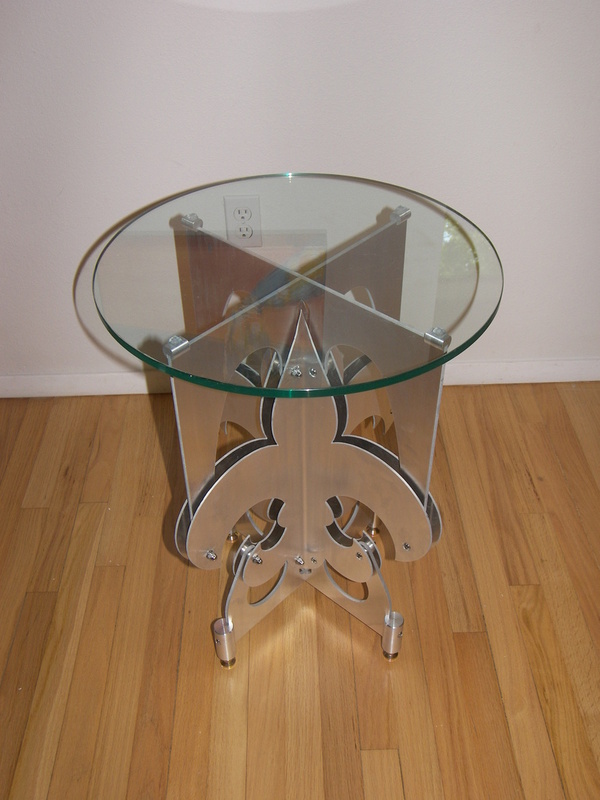 This table has a very masculine design using industrial features, which make this a perfect addition to a football fans "Man Cave" as a n example. contemporary variant for the modern home or office enviroment. 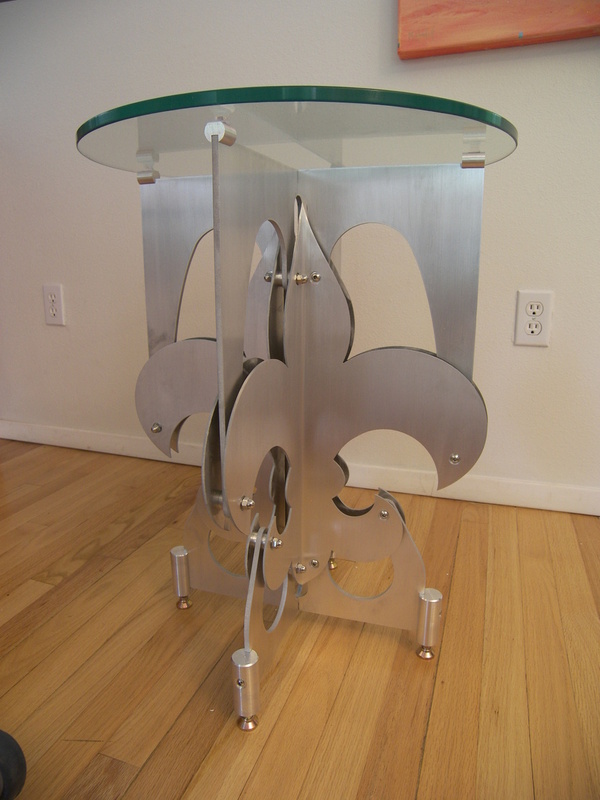 A stark combination of aluminum and glass combined with quadrants of fleur de lis all mechanically fastened together make a bold statement. have it in a modern piece of functional art.